The business model of Expo’s is no longer to educate visitors with gizmos, but rather to provide a meeting platform for selected purposes. For the visitors, their wish is to have a unique multisensory experience that they will remember for all their life. For the businessmen, Expo's are great opportunities for meeting potential partners without having to disburse huge amounts of moneys imposed by world fairs. For policymakers, Expo’s are instruments of soft diplomacy where policy issues can be discussed within informal and joyful setup. For its participation in Milano, the EU has therefore adopted three differentiated strategies, namely for visitors, businesses and policymakers. In this article, I will focus on the latter and describe the main learned lessons for the EU. One of the main success factors of any Expo is the choice of the theme. This should be linked to global challenges and opportunities which R&D and Innovation can address. The theme of the Milan Expo, food (and water) security was very cleverly chosen since this a main cause of warfare and migrations from poor countries. But also the theme of the next two Expo’s are addressing crucial issues. Future Energy, the theme of Astana 2017, is expected to give impulse to the transition from fossil fuels to clean technologies also with a view to alleviate climate change. 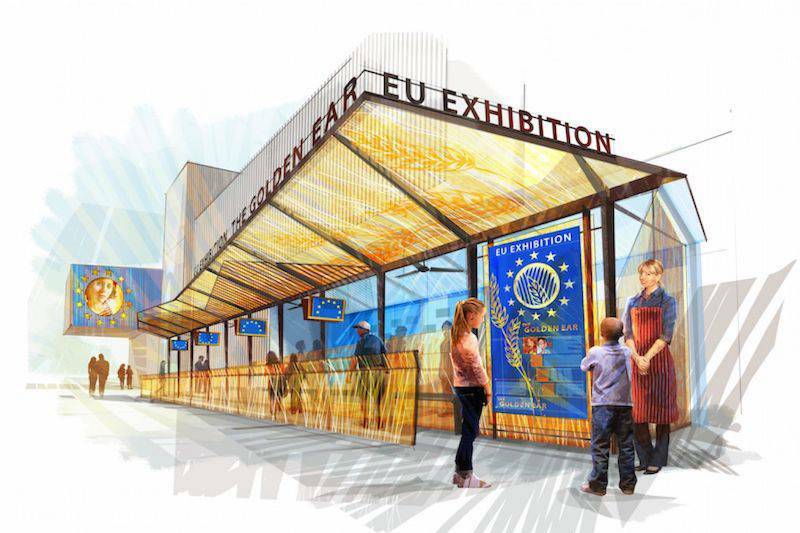 At Expo Milan, the European Union organised 230 conferences, workshops and exhibitions in close cooperation with stakeholders from industry, NGOs or academia, attracting some 30,000 experts around the chosen theme. A significant number of events addressed science, technology, innovation, dissemination and education issues on various aspects of the theme. The objective was to draft a recommendation report identifying research and innovation priorities for solving the challenge of food security and suggesting possible contributions from the EU. This provided four main recommendations for improving global food security. These are our main lessons learned from this successful exercise. The process should start at least 15 months before the Expo opening with the establishment a Scientific Committee involving key stakeholders and top scientists from different disciplines. The chair should be a leading personality internationally renowned, preferably a politician and not a scientist. The Committee should be endowed with sufficient budget to organise scientific debates. Its main tasks will be to produce three documents, firstly a “discussion paper” identifying the key research themes linked to the theme. This shall be submitted to a conference at the beginning of Expo. A second document including the results of the scientific debates will be discussed at a conference around the end of the Expo. On this basis the Scientific Committee shall draft the final recommendation document to be widely circulated.